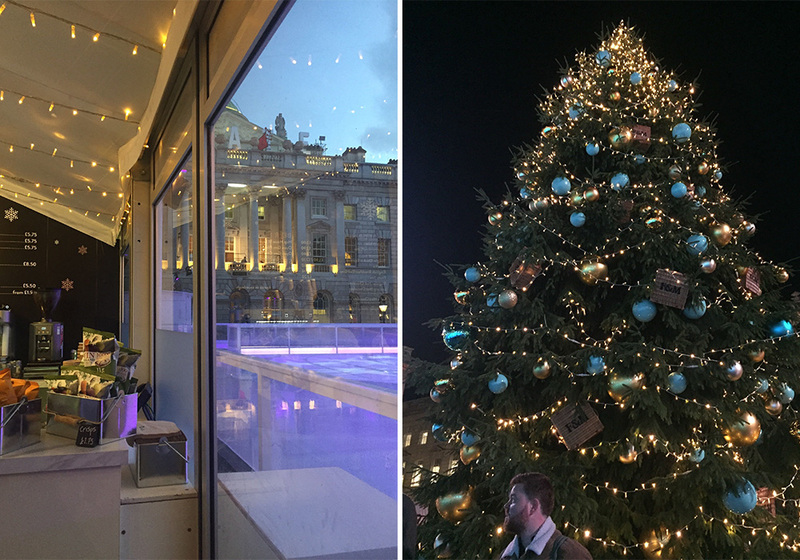 Somerset House have been running their prestigious rink for 19 years would you believe!? 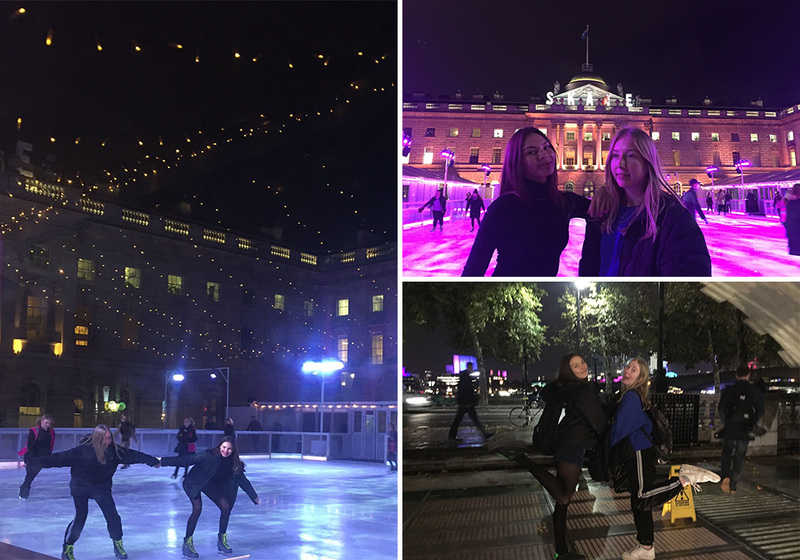 The sumptuous and grandiose setting, the piped harmonious music and the 40ft Christmas Tree make Skate at Somerset House the ultimate festive experience. I’ve been every year since my child could stand (penguin style we skated) she inside my legs holding on, me learning quickly to become better than I was out of fear of falling and squashing her & she for those reasons also got good very quickly! So it’s bitter sweet this year, flashing forward there we were on Monday afternoon for the start of the skate season with Somerset House. At 16 she no longer needs me for most things and for the first year ever we were not on the ice together, I could still watch and hold-all the coats and gloves as they still shed and need assistance, even if that’s mostly the bank of mum paying for the hot chocolate. Still a pleasure to be needed! Taking pride in this specially designed rink with layers of ice – this historic venue keeps the ice pristine between skates so the ice didn’t suffer from the earlier heavy rainfall we just missed. As my daughter glides around chatting to her chums I notice the rink never feels too busy. Keeping under capacity ensures less jostling while skating, as no matter what age the child – always a parent and glad to see her happy and safe whilst on a knife edge blade speeding past taking selfies & skating backwards! Who knew she only skated once a year! 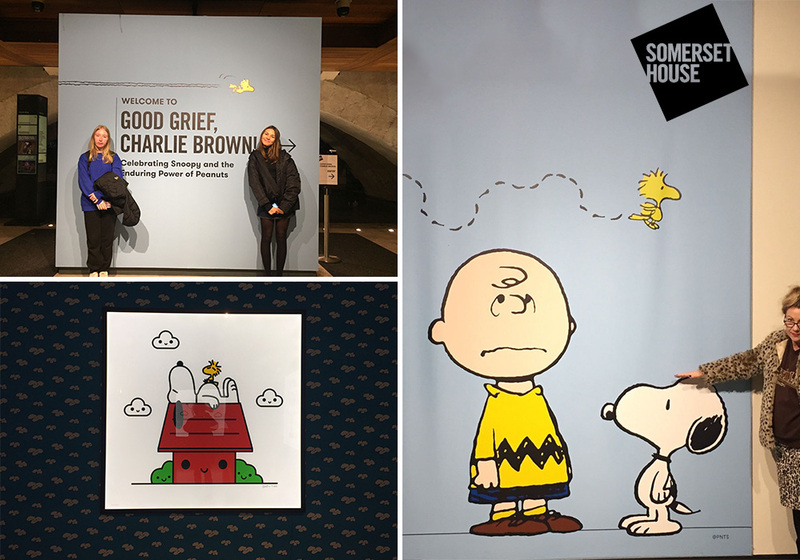 A trip to see Charlie Brown & Snoopy (on until March 2019) or the obligatory selfies under the giant Fortnum’s tree – hand chosen if not picked literally from Denmark by the Somerset house team – reflective of much love & care that goes into each season. For those that are not needed on the ice, a unique shopping opportunity awaits in Fortnum’s Christmas Arcade where you’ll find an array of wondrous trinkets & artisan treats. For those spectators, hugging a hot chocolate ring side or inside the Skate Lounge is a perfect way to soak up the atmosphere without having to get your skates on! More memories made & savoured, Christmas 2018. Have you booked in your skate session? We currently have an exclusive 15% saving on selected dates and times. Don’t wait to skate! Book now.